I don't think anyone is surprised that the Non Emergency Passenger Transport contract for Plymouth has indeed been awarded to a private contractor rather than South Western Ambulance. That said I do feel that its a real shame to see them loose this work. It must also be a worrying time for the crews. SRCL Limited already operates a number of non-emergency patient transport contracts across the country. 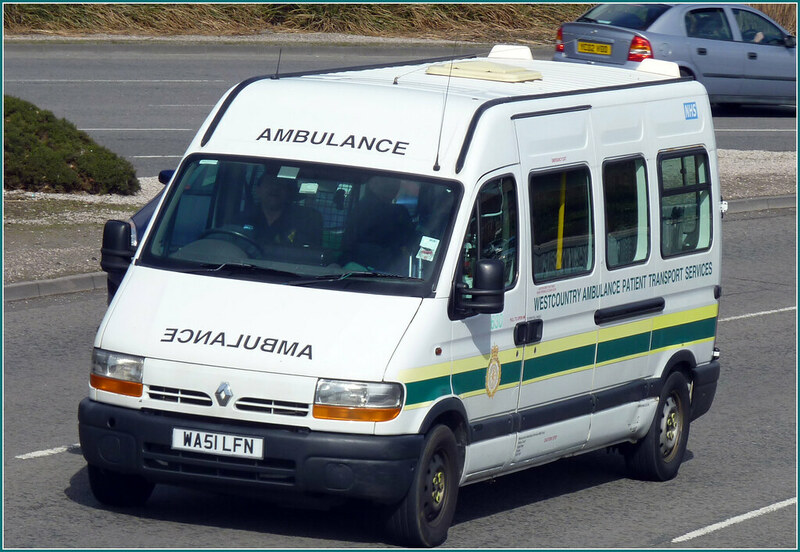 South Western Ambulance Services Foundation Trust (SWASFT) will continue to provide this service until the end of September. SWASFT have been instrumental in making significant improvements in delivering this service and we want to thank them for their support. Further details on how the new contract will operate will be widely publicised in the coming months. Now here we see an ambulance on foreign badged chassis. Are we the only country that does not support our own industries. I work for SWAST on the 999 side, yes staff will be TUPE'd, but not because they want to its because they have to! This exercise is privatisation of the NHS via the back door and it wont provide a better service, it will provide a cheaper service that is profit driven and not patient driven! As the old motto says you pay for what you get!